Did Sikta’s consultants do a proper job? 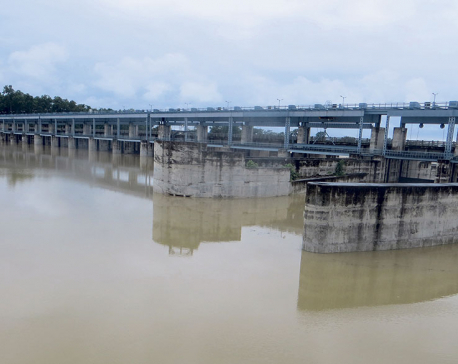 NEPALGUNJ, Aug 25: After spending millions of rupees and forcing dozens of villages on the verge of inundation, investigation was launched into the irregularities done at Sikta Irrigation Project. Recently is has come to the fore that some fo the consultants hired by the government for the project, never did their job. Consultants’ performance is said to have been detrimental in letting the contractor build a fragile canal, an informed sources told Republica. The project had drawn headlines after its main canal miserably failed test last month. Even earlier also the canal had failed to withstand test last year. Prior to this, locals and others were only condemning the main contractor, Kalika Construction and concerned government officials, for their poor project delivery. “ If consultants had done their job properly, Sikta canal would never have been so fragile. Consultants’ job is to oversee the progress of the project, from the beginning until the end. They are expected to be the real watchdogs,” said a high-level government engineer requesting anonymity. “With this very fact, it is very clear that consultants were for namesake. They have simply not done their job,” he added. Consultants’ negligence is apparent regarding DPR, design review and supervision, the source said. Government spends millions to select for selecting consultants and once they are selected, they are paid heavily again, the engineer said in an attempt to explain how the system works. “Consultants are hired for design review, supervision of the project. Millions of rupees are given to those consultants,” said the engineer. “But those consultants have worked only on paper, not in reality,” he added. Lahmeyer International GMBH/ Germany was the consultant that prepared the DPR of the main 45.2 kilometers long canal in the southern part. For ICB-1 - ERMC/BPC/Masina/DE/JB was the consultant for supervision and design review of the main 17 kilometers long main canal at the southern part. Similarly, for ICB-2 - ERMC-ITECO-JB was the consultant for supervision and design review of the section between 17 kilometers to 35 kilometers of the main canal of the southern part. And for the ICB-3 -BDA/Multi/GOEC/ECOCODE/JIDA JB had over seen the project as the consultant Other consultants hired in various capacities are BDA/GOEC/JIDA/CEMECA JB and CMS-FBC-EPP JB. Consultant companies are expected to get the work done through structural engineer, mechanical engineer, hydraulic engineer, geologist, geotechnical engineer and similar other experts, the source said. In the Sikta project, no such experts have been used, as the performance now reflects, a top source in the project office said. “Most of the consultant companies have shown these tasks done only on papers, they have not even reached the field,” he accused. 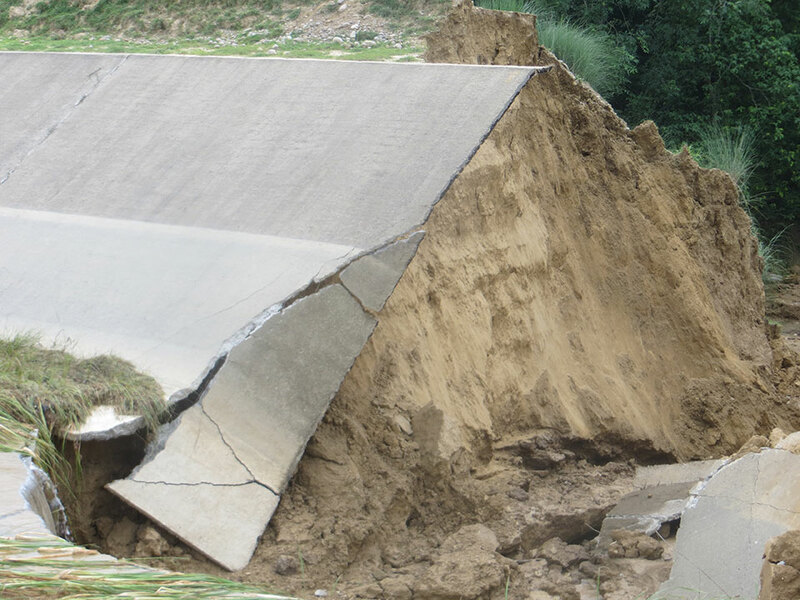 Over 35 kilometers of the main canal has either already broken or is on the verge of collapse. The canal’s slopes are no more intact. Locals fear that the fragile canal is likely to let water enter their settlement. Two years ago, the canal section near Jhaihari River had broken down. While it was being repaired, locals had warned the workers not to use the same low construction materials that they used ealier. Locals had even taken to street protesting negligence by concerned authorities in monitoring the project. This had created a stir in the cabinet as well. However, contractors did not pay heed to the outcry. Just before the eyes of the locals, canal walls were still poorly constructed. Workers, engineers, local contractors admit the negligence. They state that there has been laxity not just in the construction materials but also in the project design claiming that it was faulty. Though nobody expressed willingness to identify them, each of the informants told Repulica that the design is greatly flawed. “It is a huge mistake of the consultant to approve such a flawed design. No wonder, contractors only like to make profit, they never care for quality work unless they are made accountable,” another source said requesting anonymity. The agreement for the project was signed while Ramesh Basnet was serving as chief of the project. If consultants are held accountable, 80 percent of the problem would be solved, engineers claim. Civil engineer of the project Praveen Shrestha has no different view. Having responsible consultants is the key for any successful development project, he says. “We should not hesitate to say that the consultants are the key players. If they do their work dutifully, projects cannot derail,” he said. “Consultants have a lot of power and responsibility,” he added. Prakash Karki, information officer of the project agrees to this. So far, Rs 14.7 billion has been spent on the project, he reported. “It is very true that consultants have a huge responsibility,” he said. He however claimed that consultants are consulted regularly based on their area of work.